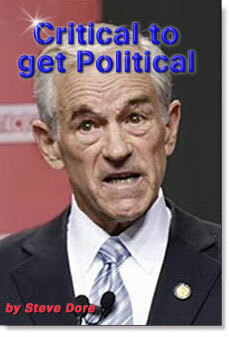 Should Ron Paul Accept Federal Matching Funds ? 2 Comments in Response to Should Ron Paul Accept Federal Matching Funds ? Never ! #1- The Supreme Court has stated ; What the government subsidises, the government controlls. #2- The government has NO money of it**Q**s own,and never has, only the money it has illegaly coerced & extorted from the public( RICO act ) Naturally we get arrested if we do it ! #3- This is a slush fund for those who run for any government office, and should be outlawed, it does NOT belong to them ! #4 -All tax monies are to be used for the building of America infrastructure to our benefit, not for the elite ! #5 -These perks with many others create new government offices, and agencies, causing larger and more corrupt positions. #6 - To prove a move to less government and their intrusion into our lives,Deny this carrot on a stick, Stay honest !